Milkman. This is a job that people have held way back into the early 1800s. 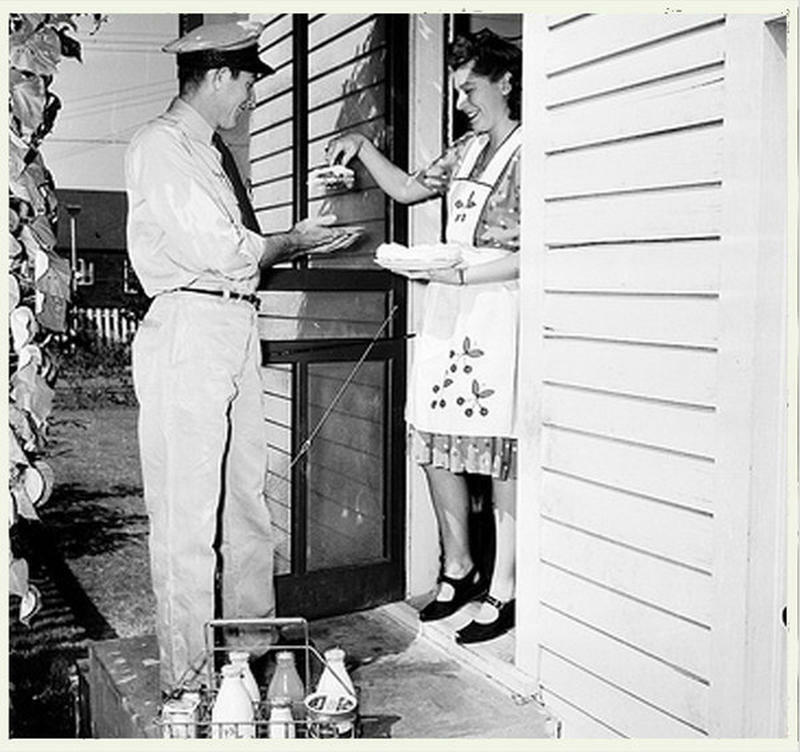 Do you remember the days when the milkman would still make the rounds in your neighborhood? 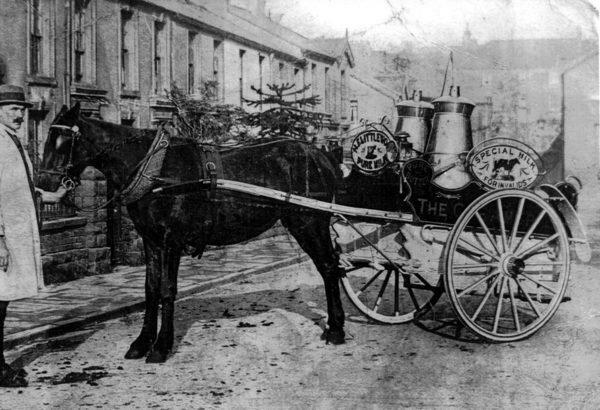 The following vintage photos share a pictorial history of the milkman and milkwoman from 1870 - 1950. 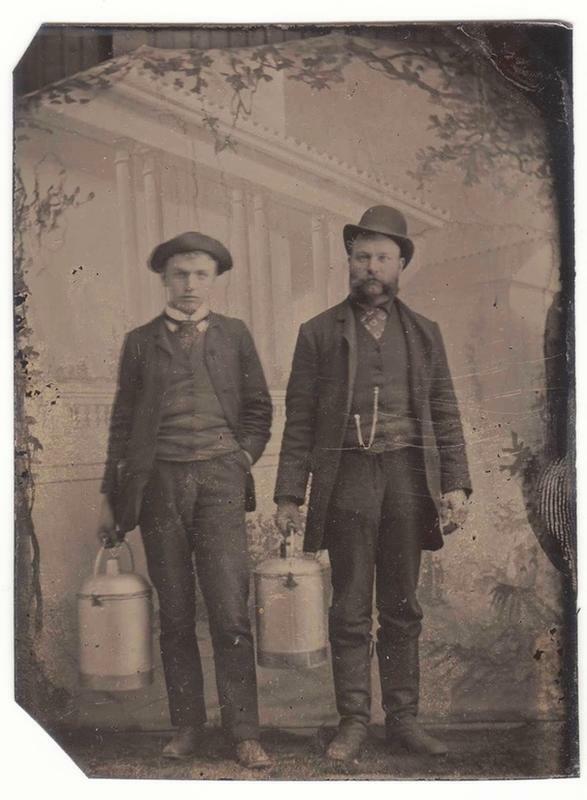 This photo below from around 1870 is one of the first-known photos of a milkman. They operated on foot and deliver their goods door to door. 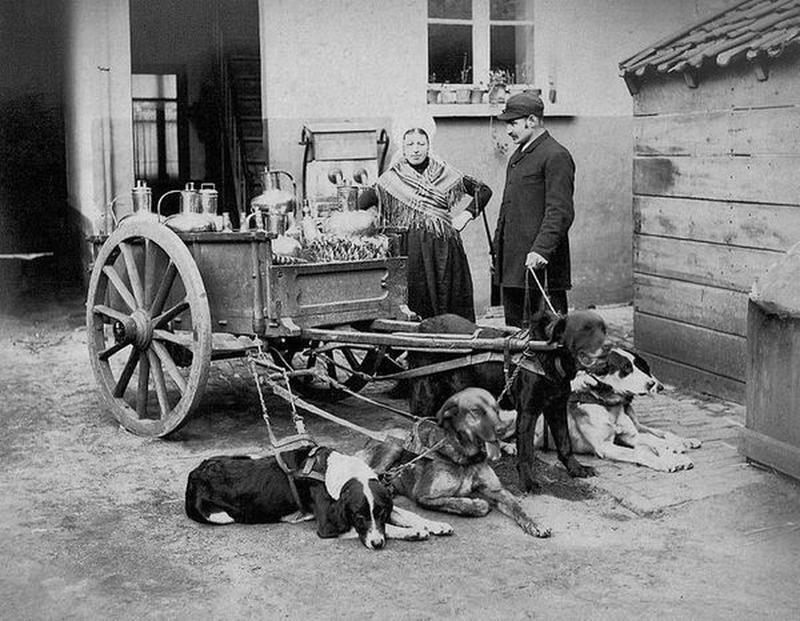 This photo from the 1880s captures a team of dogs helping their family move their milk cart throughout the village. Most early milk carts were family affairs. Aside from milk, they sell other goods in the cart as well. 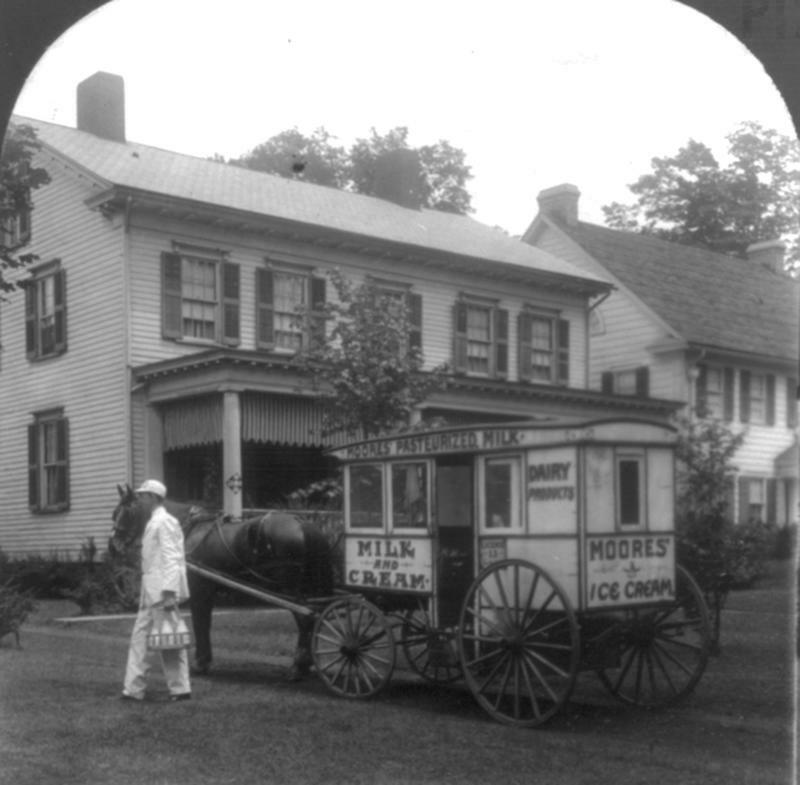 Around the turn of the century, the milkman trade slowly became a one-man show. A man with either a dairy farm himself or a connection to a few who owns them would take a branded cart out everyday. 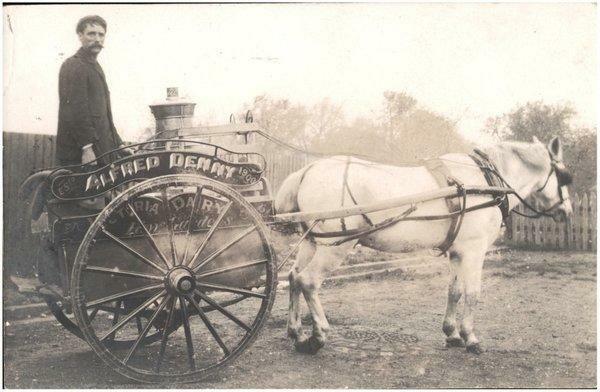 The photo below from 1900 shows Mr. Alfred Denny of Victoria out with his goods for sale. 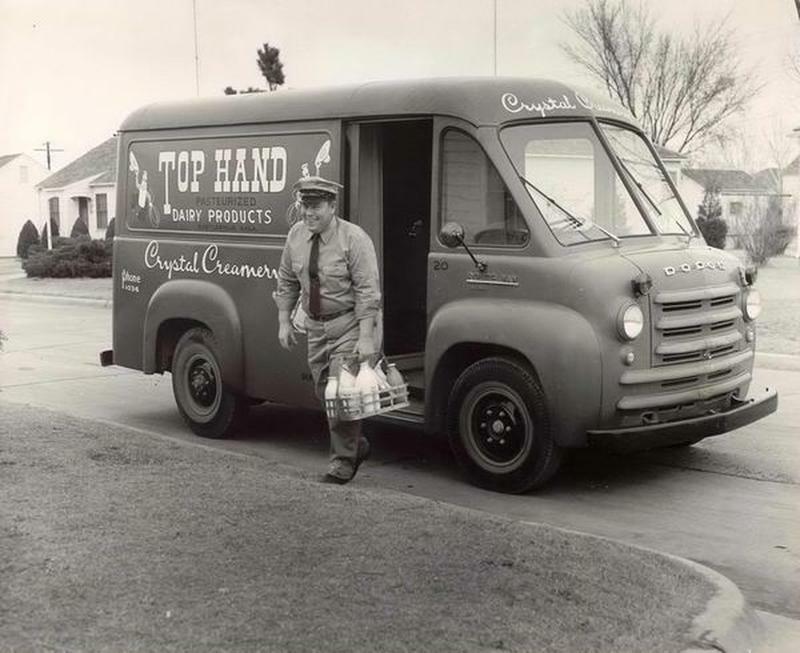 This milk cart became a thing all around the world. 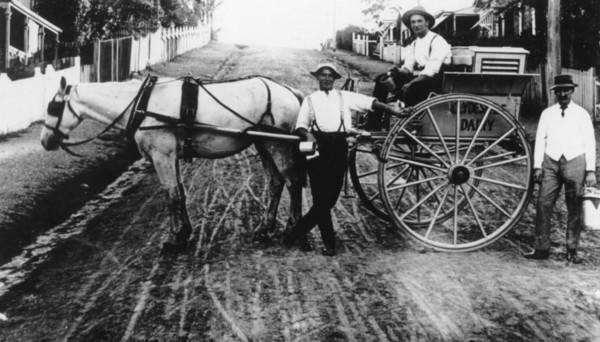 This 1900 photo from Thomastown shows another one-man cart out on the street. 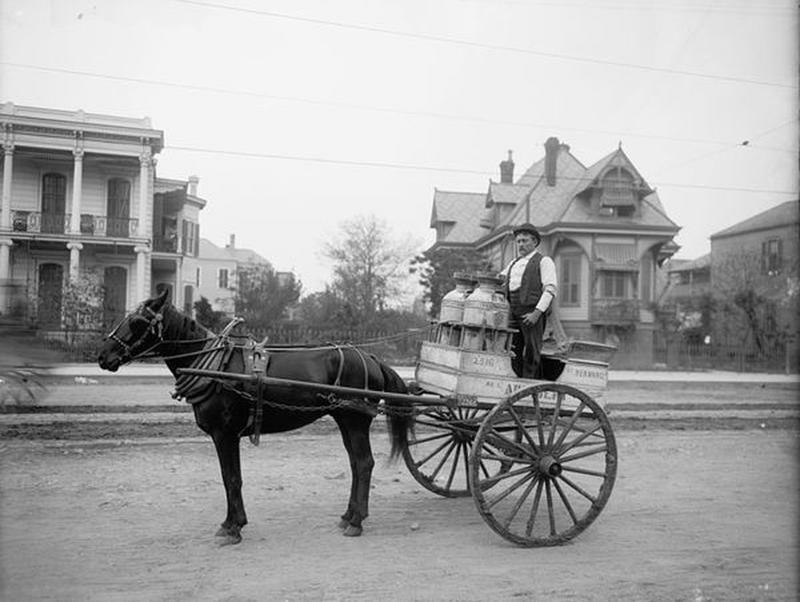 Back in the US, milkmen began to attract more up-scale milk delivery operations among the higher-class neighborhoods like the city of New Orleans. 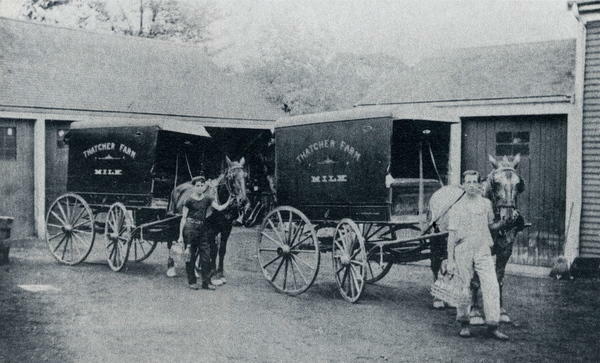 Larger dairy farms in the country started to master distribution of their milk, as seen here with this Milton, MA farm. These family affairs provided a lot of great photos in the early 1900s. This photo from 1914 from the State Library of Queensland is a great example! Meanwhile, in big cities, bigger companies were trying to control the entire market on milk delivery. The photo below shows a full-scale operation from the Guaranteed Pure Milk Company delivering throughout the city Montreal in 1905. 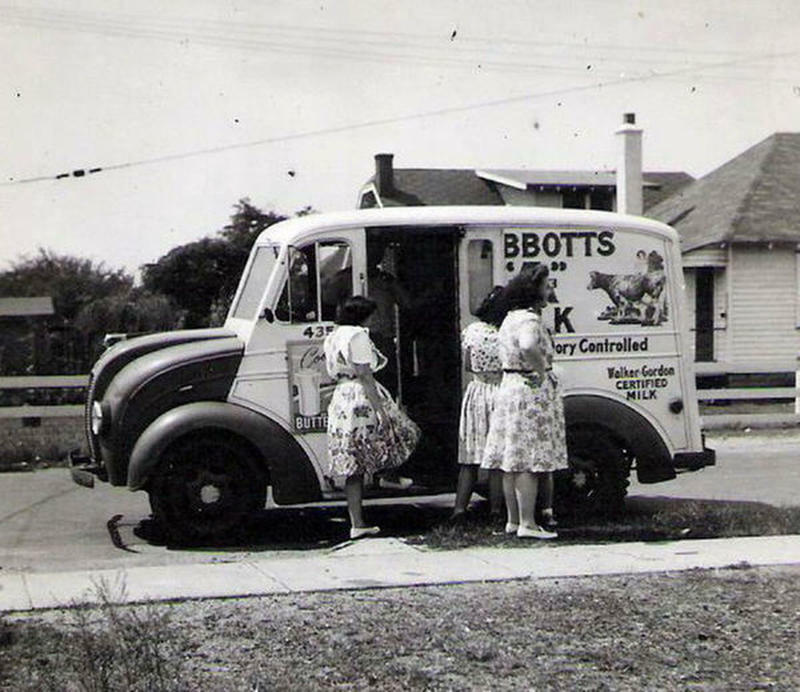 Meanwhile in smaller cities, some milkmen decided to expand their operation to cream AND Ice Cream as well. Here's a photo of a hybrid milk cart and ice cream truck. 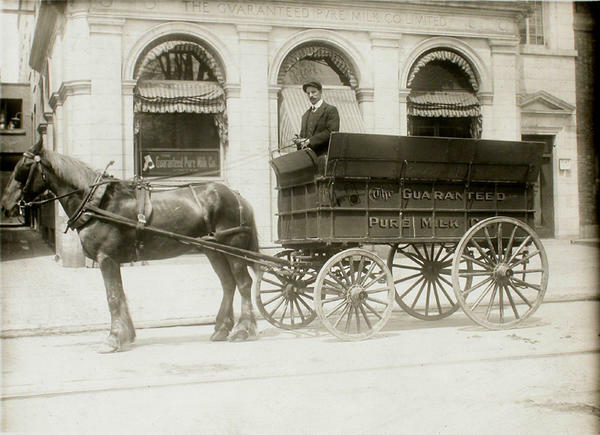 After the war, carts were slowly replaced by delivery trucks. Milkmen sometimes bring pre-made chocolate milk! 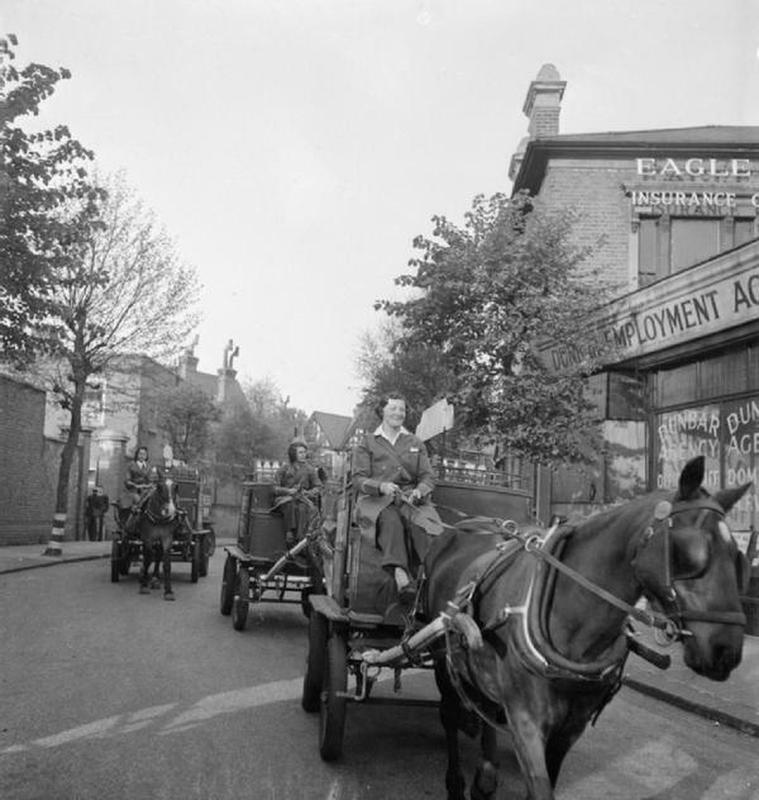 Here's great photo from the late 1940's that shows the conversation and community that often takes place between deliverymen and their customers.